We can't deny the fact that we love to eat hotdog sandwiches. And surely, eating sandwiches might get boring soon enough if we have them as a regular hotdog sandwich - the hotdog, a bun, and the sauce. 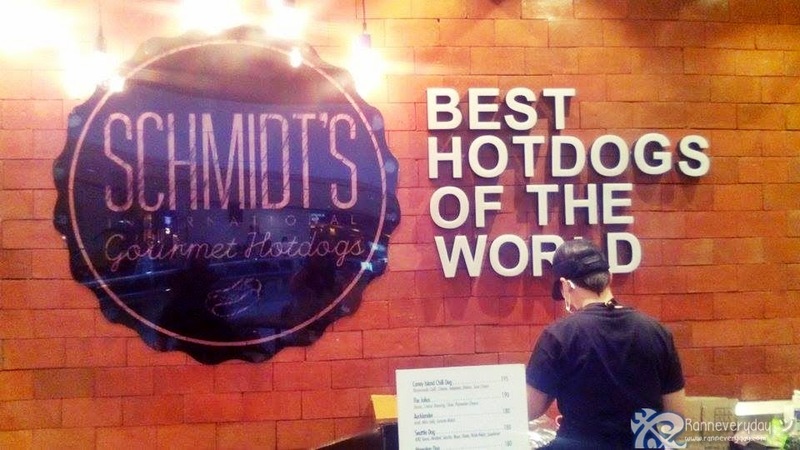 Here at Schmidt's International Gourmet Hotdogs, they made their hotdog sandwiches extraordinary and instantly tour your taste buds around as you can have a taste of the best hotdog sandwiches around the world. 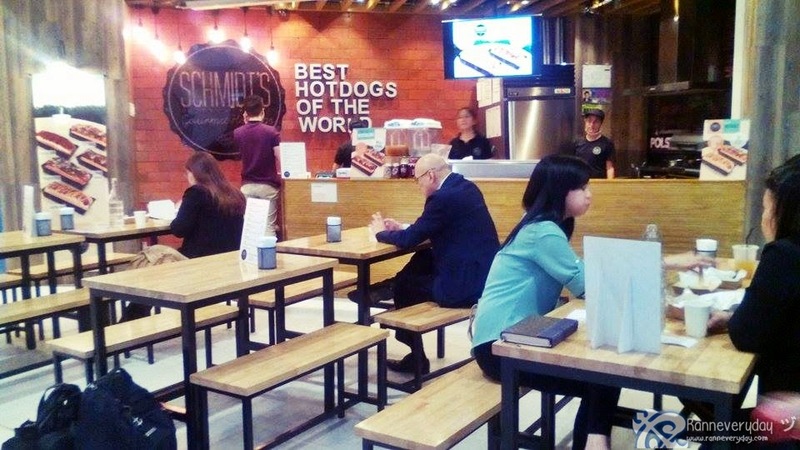 Schmidt's Gourmet Hotdogs is located at the 5th Level of The Podium, Ortigas. A food court set-up and alongside with different food chains along the area, Schmidt's is the only one who sells big sizes of hotdog sandwiches. 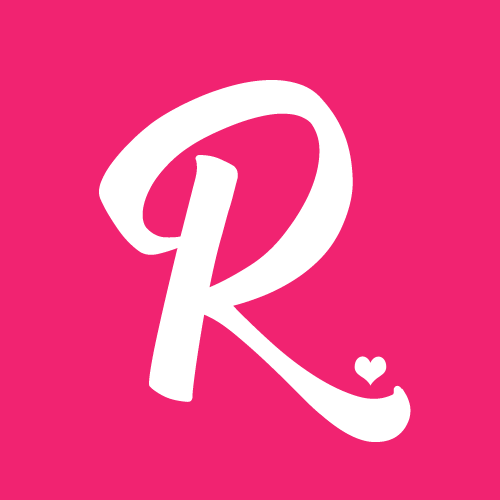 Aside from their branch at The Podium, you can see them often on different markets/bazaars/events around as they have food carts and food trucks. With the tagline "Best Hotdogs of the World," they cater different varieties of hotdog sandwiches based on different countries around the world like U.S.A, Japan and Italy. Who wouldn't say that a 1/3 Pound (125g) imported Frankfurter hotdog is not huge? Add more toppings and sauces on them and surely you won't leave the place with an empty tummy. 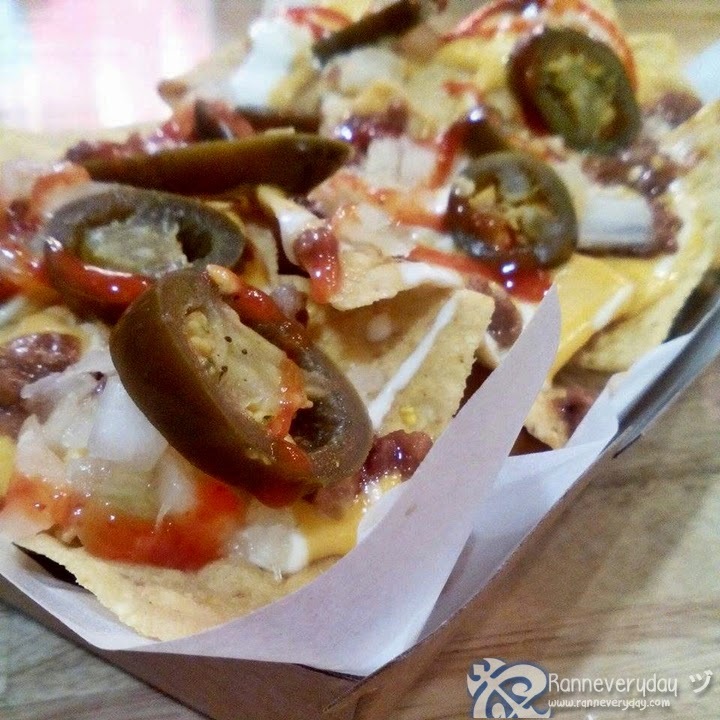 Nachos (Php 125.00) - It's a combination of nachos, chili, cheese, slices of jalapeno, onions, sour cream and their home-made chili sauce. It is not as spicy as it looks, which is good especially for those who are not a fan of spicy dishes. 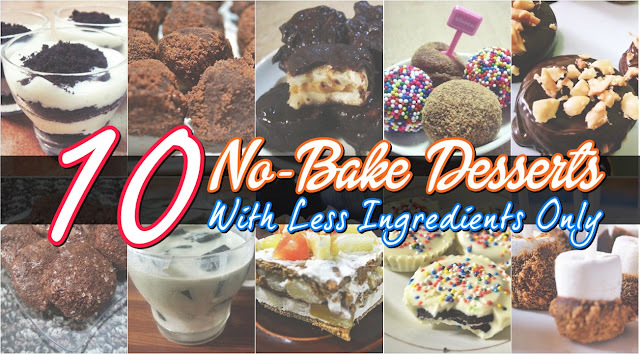 The combination of ingredients is very good. Perfect to partner it with some soda. 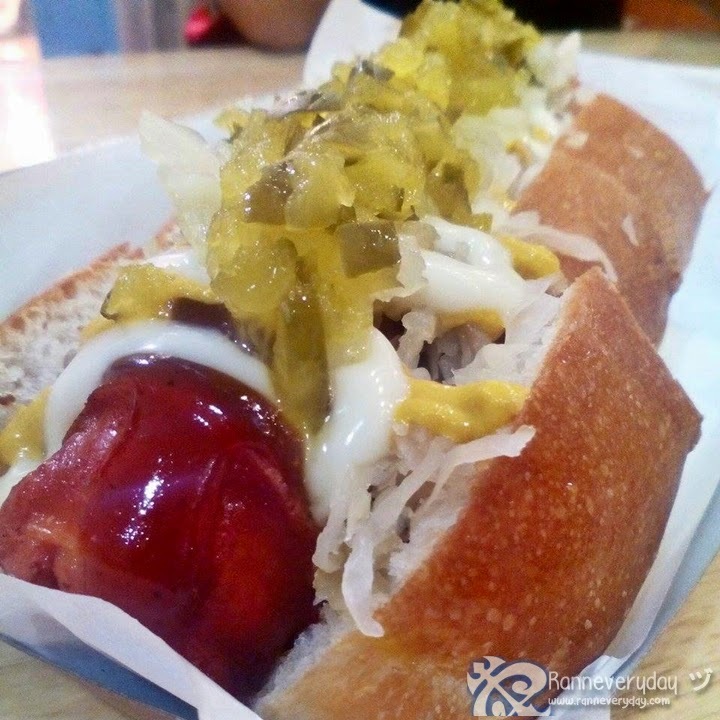 Seattle Dog (Php 180.00) - A combination of barbeque sauce, mustard, mayo, onion, sauerkraut and slices of pickled relish on top. To summarize the taste of this hotdog sandwich, it's meaty plus sour. Surprisingly, the barbeque sauce didn't contrast with the taste of the mustard and mayo. The sauerkraut is not that sour so it's perfect for my taste. If you are a fan of some pickles on your sandwich, this dish is a must-try. 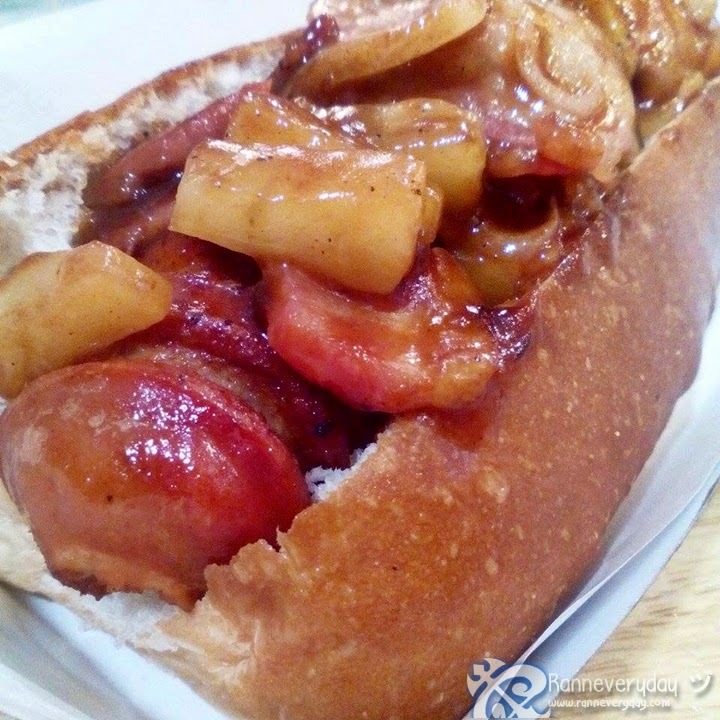 Hawaiian Dog (Php 180.00) - a combination of pineapple, slices of bacon, red onions and barbeque sauce on top. Who wouldn't love those bacon slices added to a hotdog sandwich? 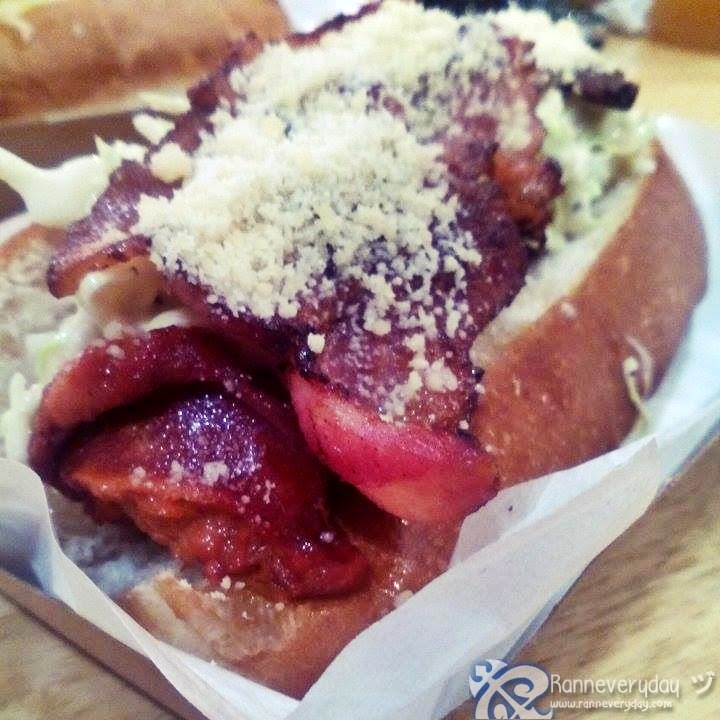 Very meaty sandwich with well-blended barbeque sauce. Wagamama (Php 180.00) - a combination of Japanese curry, a choice of Japanese mayo or wasabi mayo, slices of nori and coleslaw on top. My most favorite variety of hotdog sandwich here in Schmidt's. I really like the feel of the wasabi mayo as it goes down on my throat. It's spicy yet refreshing feeling. If you are looking for something extraordinary and really worth the try, this Wagamama is surely the one. As the 2 owners stated, this dish is one of which their customers are looking for. The Julius (Php 190.00) - a combination of big bacon slice on top, with coleslaw, Caesar dressing, and Parmesan cheese. Another bacon and hotdog combination! They topped this sandwich with generous amount of Parmesan cheese which makes this dish delicious. The combination of the Caesar salad didn't break the taste of all other ingredients within the sandwich. 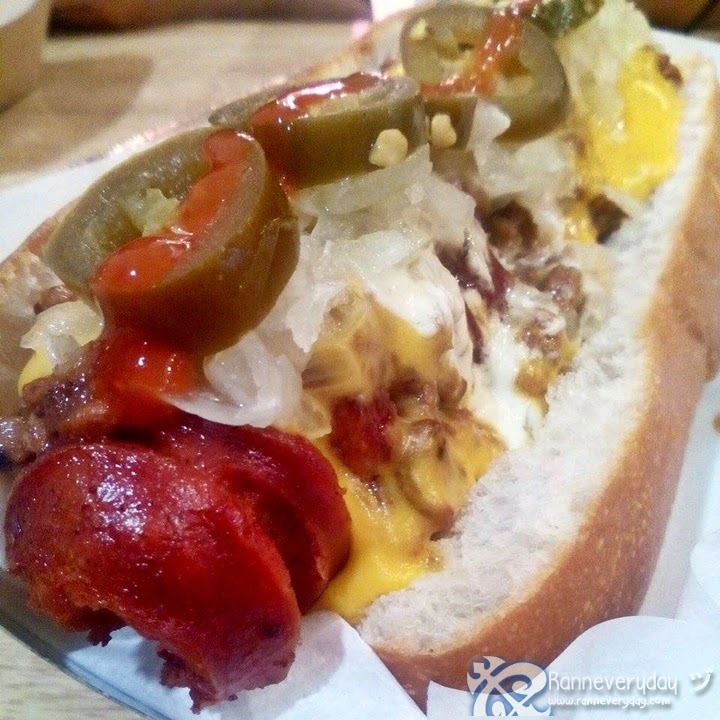 Coney Island Chili Dog (Php 195.00) - The best-seller sandwich here at Schmidt's. It's a combination of cheese, home-made chili, onions, sour cream, and slices of jalapeno. The oozing amount of cheese plus the spiciness of the jalapeno is what I really like about this sandwich. Aside from the hotdog sandwiches, they also have pasta dishes. You can ask the staffs if which pasta dish is their pasta of the day. 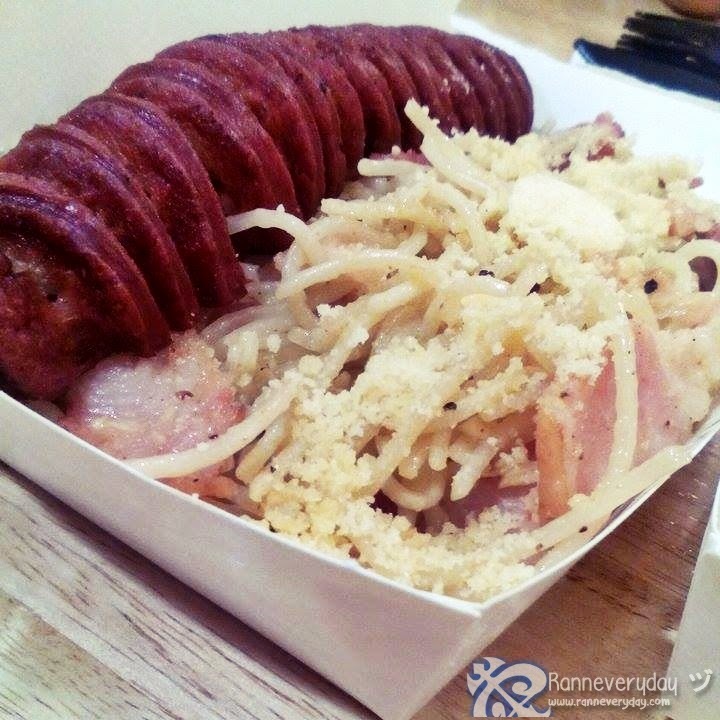 Pasta Aglio e Olio (Php 175.00) - Pasta dish with bacon slices and Parmesan cheese, sauteed in garlic oil with 1/3 pound hotdog on side. I didn't expect this dish to be spicy. After I tasted it and found out that it has Cayenne pepper. This dish emphasize more on its garlic taste. Very aromatic too. 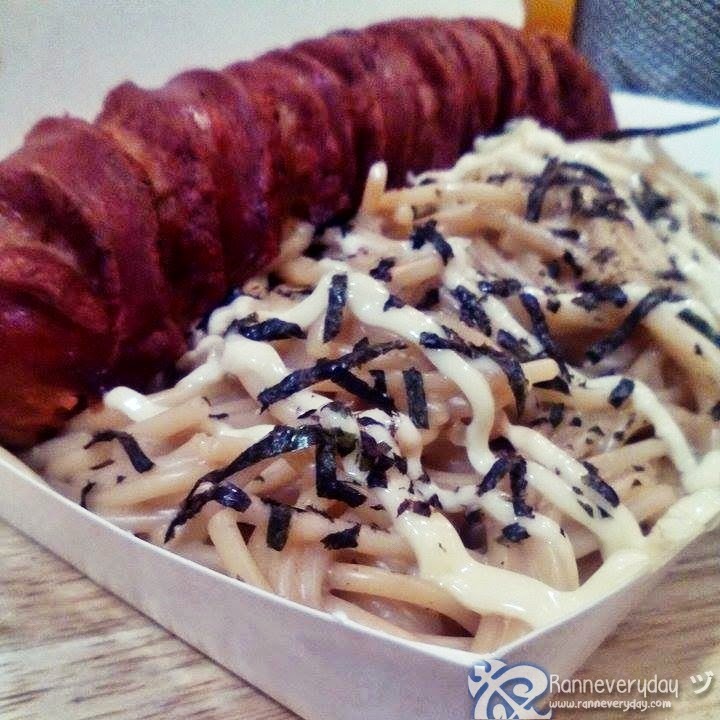 Pasta with Asian Sesame Sauce (Php 175.00) - Pasta dish sauteed in sesame oil, with bits of nori on top and Japanese mayo. I really like the taste of the roasted sesame seeds. It gives more flavor to this simple pasta dish. 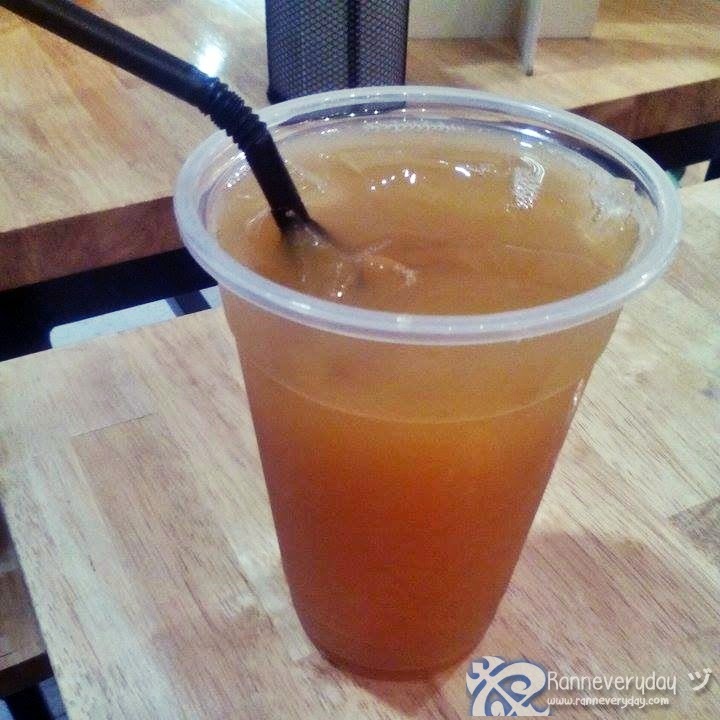 Iced Tea (Php 50.00) - Their own-blend Iced tea is surely a must-try. At first I thought it has a tamarind taste in it but there's none. It's a combination of brewed herbs. Aside from this, they also have different sodas available. 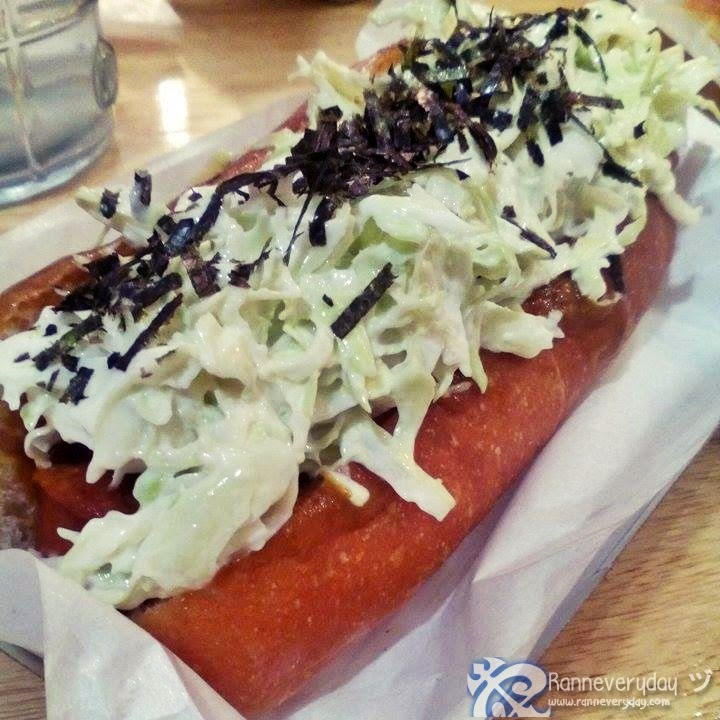 I happened to taste other hotdog sandwich joints around which caters big hotdogs too. The price is actually much cheaper. 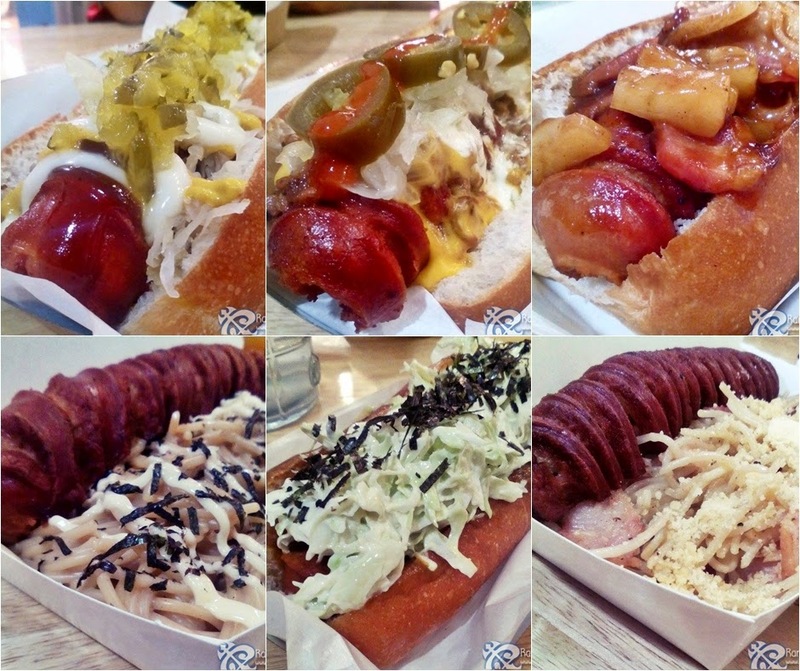 But in terms of the toppings, Schmidt's hotdog sandwiches would be my fave. The price may not be as cheaper than other joints, but considering those toppings and other ingredients added makes every hotdog sandwich more special here at Schmidt's. For me, the prices are really worth it. So if you are looking for something heavy to eat, either for snack time, breakfast, lunch or dinner, come and have a taste of Schmidt's International Gourmet Hotdogs! Different varieties, more choices and more fun!